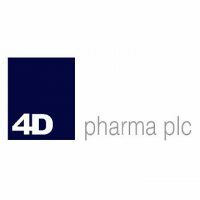 The share price for 4d Pharma PLC with EPIC code: LON:DDDD has moved up 4.18% or 8.57 points in today’s trading session so far. Traders have remained optimistic during this period. The period high was 215 and hitting a low of 213.83. The total volume traded so far comes to 660 with the daily average at 211,496. A 52 week high for the stock is 467 which comes in at 261.75 points different to the previous business close and a 52 week low sitting at 114 which is a variance of 91.25 points. 4d Pharma PLC has a 20 day moving average of 184.63 and now a 50 day simple moving average now of 153.06. This puts the market cap at £134.83m at the time of this report. All share prices mentioned for this stock are traded in GBX. Mcap is measured in GBP. This article was written with the last trade for 4d Pharma PLC being recorded at Wednesday, July 4, 2018 at 12:46:03 PM GMT with the stock price trading at 213.83 GBX. 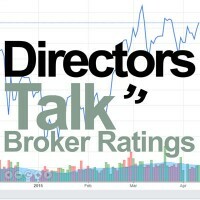 The stock price for Anglo American plc ticker code: LON:AAL has gained 2.52% or 41.4 points during the course of today’s session so far. Buyers have remained positive during the session. Range high for the period has seen 1706.8 and a low of 1675.8. The amount of shares exchanged has so far reached 3,312,263 whilst the average number of shares exchanged is 7,316,362. A 52 week share price high is 1948 which is 308.2 points difference from the previous days close and the 52 week low at 1033 is a variance of 606.8 points. Anglo American plc has a 20 day moving average of 17.64 and also a 50 day simple moving average now at 17.95. The market capitalisation currently stands at £23,587.57m at the time of this report. Share price is traded in GBX. Mcap is measured in GBP. This article was written with the last trade for Anglo American plc being recorded at Wednesday, July 4, 2018 at 1:37:13 PM GMT with the stock price trading at 1681.2 GBX. The stock price for BRITISH AMERICAN TOBACCO PLC ADS Common Stock found using EPIC: LON:BATS has increased 1.04% or 40.5 points during today’s session so far. Traders are a positive bunch during this period. The high for the period has peaked at 3962.6 dipping to 3880. The total volume of shares exchanged so far has reached 834,678 whilst the average number of shares exchanged is 5,253,978. The 52 week high is 5529 which comes in at 1619 points difference from the previous days close and putting the 52 week low at 3553 which is a variance of 357 points. BRITISH AMERICAN TOBACCO PLC ADS Common Stock has a 20 SMA of 3808.68 and now its 50 day SMA of 3858.03. The current market capitalisation is £88,527.64m at the time of this report. The stock is traded in GBX. Mcap is measured in GBP. This article was written with the last trade for BRITISH AMERICAN TOBACCO PLC ADS Common Stock being recorded at Wednesday, July 4, 2018 at 1:37:24 PM GMT with the stock price trading at 3950.5 GBX. The share price for British Land Company PLC company symbol: LON:BLND has climbed 1.03% or 6.8 points in today’s trading session so far. Traders have remained positive throughout the session. The periods high has reached 668.6 and a low of 659.02. Volume total for shares traded during this period was 489,588 with the average number of shares traded daily being 4,519,250. The 52 week high for the shares is 703 which is 41.4 points in difference on the previous days close and a 52 week low being 589 which is a variance of 72.6 points. British Land Company PLC has a 20 SMA of 684.65 and now a 50 day simple moving average now of 685.7. The market capitalisation is now £6,555.03m at the time of this report. The share price is in GBX. Mcap is measured in GBP. This article was written with the last trade for British Land Company PLC being recorded at Wednesday, July 4, 2018 at 1:35:04 PM GMT with the stock price trading at 668.4 GBX. Click AAL BATS BLND DDDD for the full archive.